SnapStream’s Twitter integration allows you to interact directly with your Twitter followers from within the SnapStream web player. 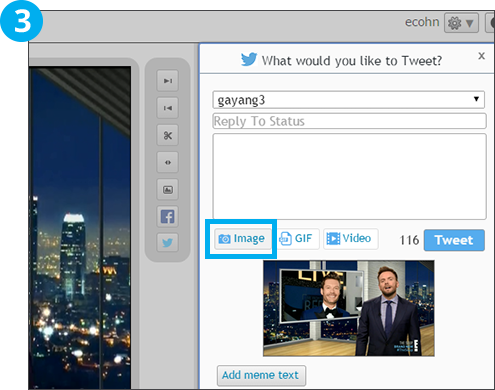 Share clips and screenshots, react to live TV and respond to tweets as they happen. 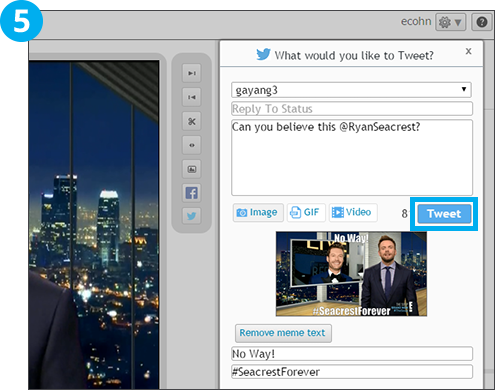 Click the Twitter button in the SnapStream Web Player to share the moment to Twitter. Choose the Twitter account for the tweet from the dropdown menu. 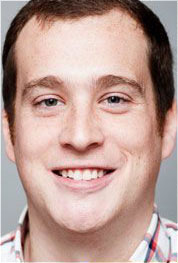 There are no limits to the number of accounts that can be set up to work with SnapStream. SnapStream allows you to easily post a clip, screenshot or an animated GIF from a show in progress directly from the tweet tab. For this example, we will post a screenshot from a television show in progress. 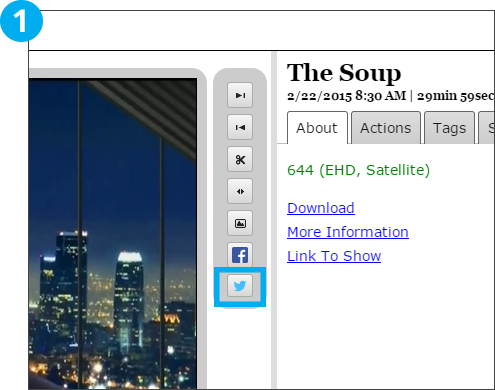 Click the “Image” button to attach a screenshot of the show to the tweet. 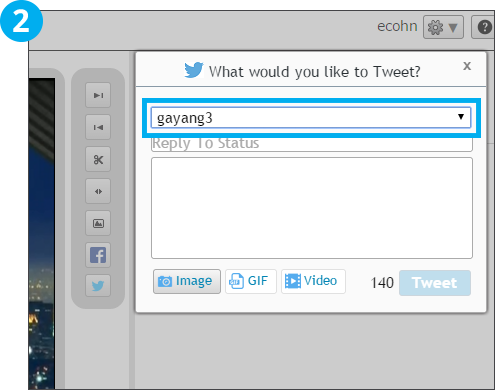 Add the text of your tweet in the field provided. A character counter will ensure that the text of your tweet remains under the permissible 140 characters. SnapStream gives you the option to include meme text directly onto the screenshot before posting. The text will automatically be centered on your graphic. Once you are finished, simply click the “Tweet” button to share the tweet to your followers.